You will notice many 2×2 plots all over the map, or even larger plots. If all 4 or more belong to 1 Ether address, this player might be planning to build a Megabuilding, or at the least develop something that they hope will gain them lots of influence. 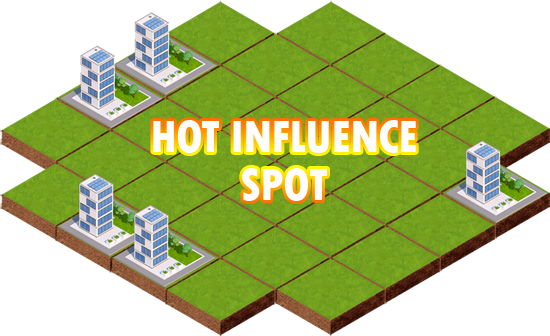 I like to call these plots “hot influence spots” and we can use these spots to our advantage. In the image above, you will see 5 residential builds all at a high level build already. What would be perfect to build near here? Ohh Yes.. a Trade Mega Building could be built here without any further requirements! Of course you would need to purchase the land tiles. We know from the dependencies chart shown earlier, that certain building combinations are required to upgrade buildings. So these combinations are KEY! 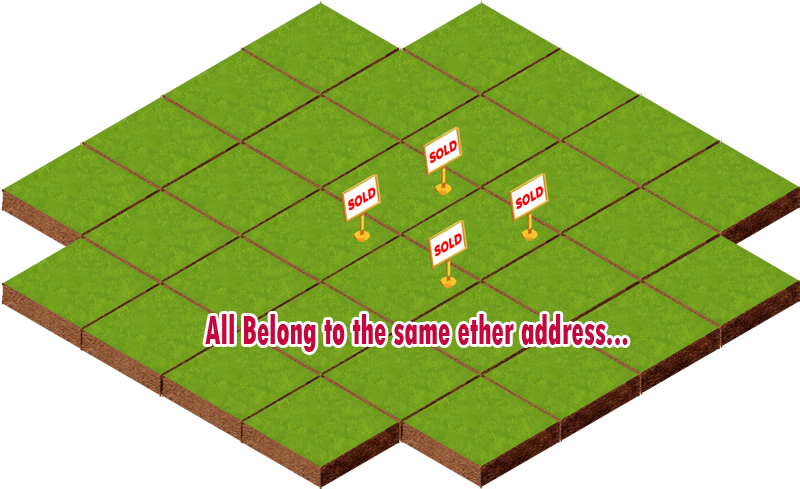 You might have the plot of land that can help other players to level up… so you might be able to make a nice return on your investment with these plots. Check the prices of other tiles that are nearby and try to be competitive, if you want a quick return. Due to how requirements are set up, building near to already upgraded buildings can help you to upgrade your building much faster. They may also increase the influence of your builds!